£100 deposit, full refund if cancellation is made 6 weeks prior to arrival date, 50% refund 6weeks - 10 days prior to arrival date. Balance due 10 days before arrival date. Payment accepted by internet bank transfer or bank counter credit. Please contact owner by text in first instance. 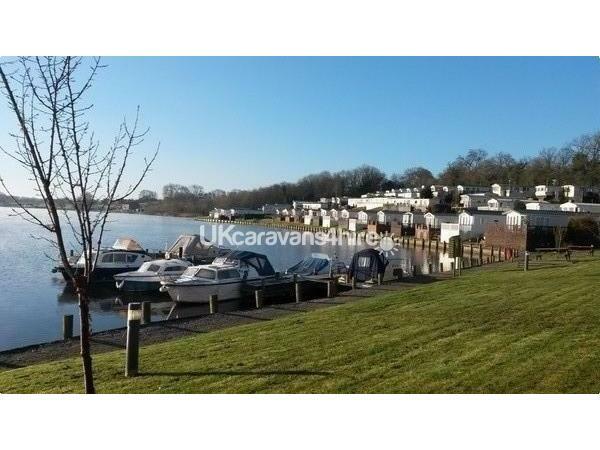 Located on Winsford Flash, Lakeside Caravan Park is operated by Thornleigh Leisure Parks with ample parking, a pub and launderette on site. 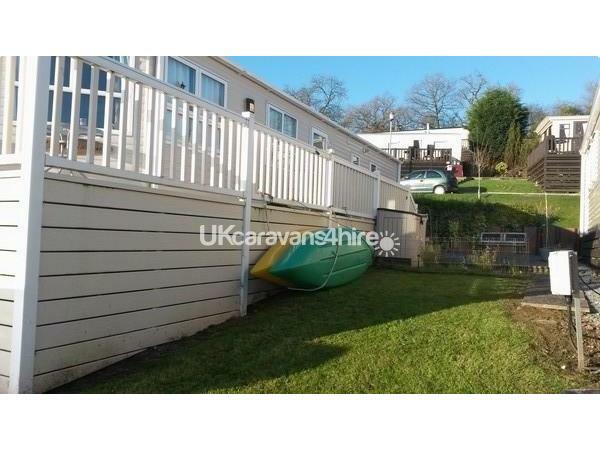 My 2 bedroom van enjoys a sunny front of lake pitch with a gated deck and side patio area. It has an en suite toilet to the master bedroom which has a king size bed and the second bedroom has twin beds, and there is a pull out sofa bed in lounge so that it can accommodate 6 persons. The main bathroom has a shower unit. 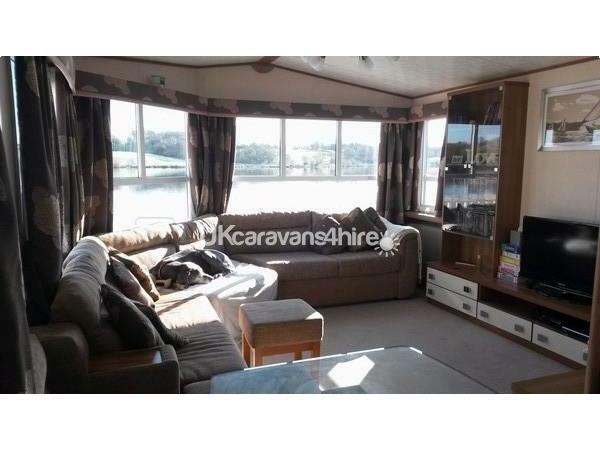 There is central heating, additional electric fire in lounge and portable oil filled radiator. The kitchen has a kettle, toaster, microwave and gas oven and all crockery, pots and pans for 6 guests. For your entertainment there is a flat screen TV, DVD unit and PS3 console with plenty of games and videos for all ages, books and games. Free WI-FI is available on site although can be slow so don't rely on it for work use. 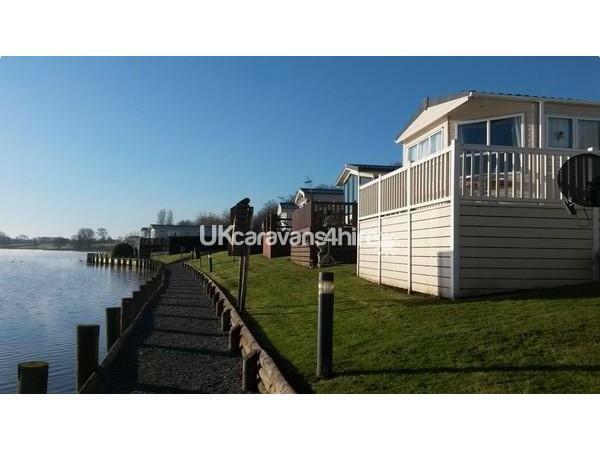 Simply relax on the deck area or bring your own fishing equipment to fish right in front of van. We have two very stable Riber Kayaks with a selection of adult and child wetsuits/bouyancy aids and shoes - if you would like to use just let me know in advance as I will take a security deposit of £100. At no time can you swim in the flash. You can kayak around the flash or go up the river channel behind the spit which meanders through countryside to middle flash and top flash, and get up close to ducks, swans, geese, herons and kingfishers. 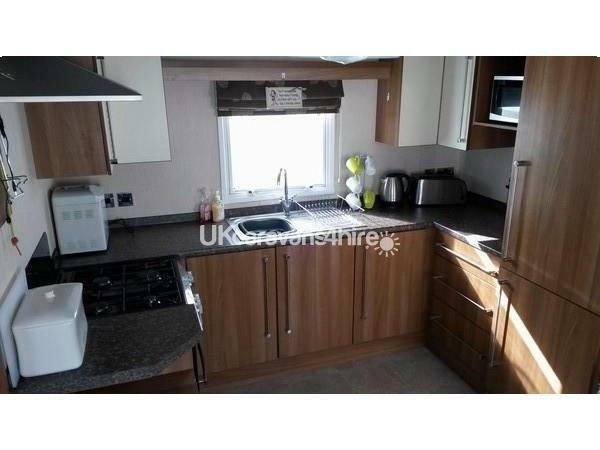 The site itself is walking distance to Winsford town centre with 24hr Asda, pubs and leisure centre with swimming pool. Further afield there is an open air pool at Nantwich and cinema at Crewe. Visit Oulton Park Race Circuit, Nantwich Marina and for a longer day out, Tatton Hall and Park, and Delamere Forest are an easy half hours drive. There are lovely walks across farmland from the site. 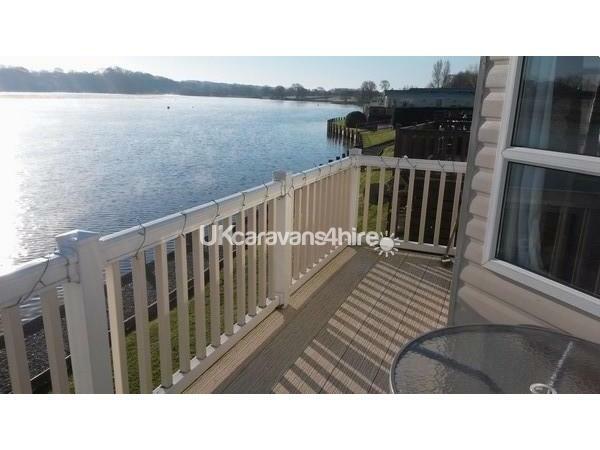 Lakeside Caravan Park is dog friendly but pets must be on a lead, please discuss with owner if you would like to bring your dog/caged small pet with you, we have a large dog cage and do not allow pets in bedroom areas. You will appreciate when you arrive. 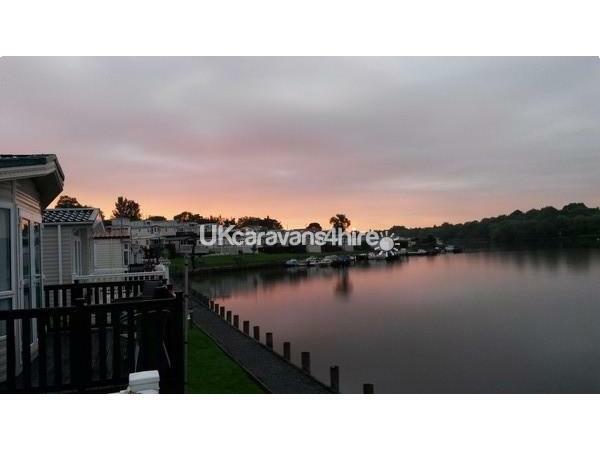 how well maintained and very pretty this site is and the staff and owners are incredibly friendly but as i am not on site I prefer users to be static van savy although I am a phone call away and leave comprehensive instructions. Please bring your own bath towels, hand towels and bedding for the sofa bed if using that. The other beds will be made up on arrival, basic toiletries, cleaning items and a welcome tray of refreshments is provided for your convenience. 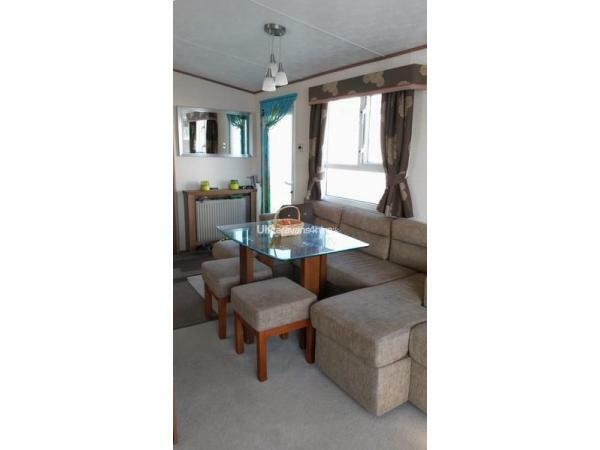 The caravan will be cleaned before and after your stay but please tidy and remove litter to the bin areas on leaving. Accidents do happen especially with children and we have an honesty jar for contributions towards repair and replacement. Our caravan has been used only by family and trusted friends, we are opening our door to you in 2018 because it is a lovely spot and it is a shame for it to stand empty, we know you will love it as much as we do! Caravan was in a beautiful spot and was spotlessly clean everything we needed was there.Also Diane was a very helpful and considerate holiday home host many thanks for our few days of peace and tranquility a hidden gem will definitely return. Been many times to Dianes Caravan. We are friends of the family and thoroughly enjoy staying often at Dianes holiday home. 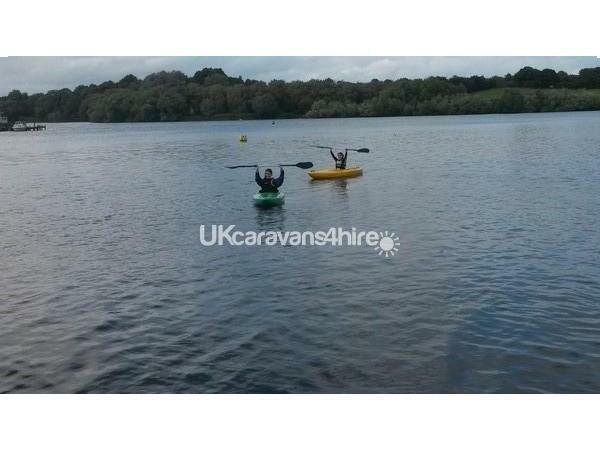 Not only is it such a tranquil relaxing place to recoup after a hectic week but also great for our family to regroup and enjoy time together, whether just watching movies and playing games or being more active going for walks in the nearby fields or using the kayaks on the lake. 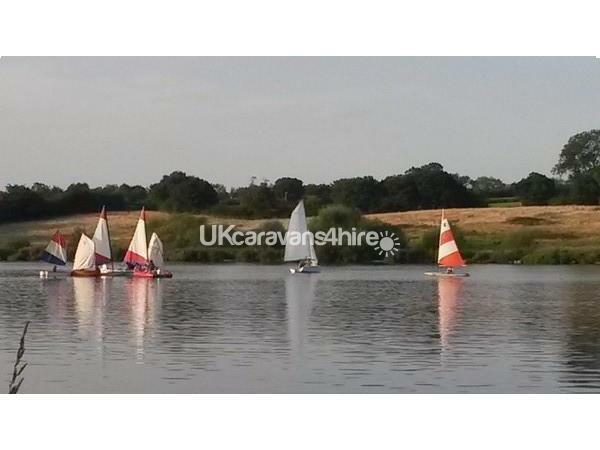 We have spent many a time off rowing behind the flash along the lake and following it's river to gorgeous scenic views and upon return cook up a meal and eat on the decking overlooking the beautiful lake, watching the ducks and sailing boats floating by. It's a truly beautiful place for any family to experience. Even with small children you can have a short drive out to nearby cinemas or swimming pools if need be for more family entertainment. 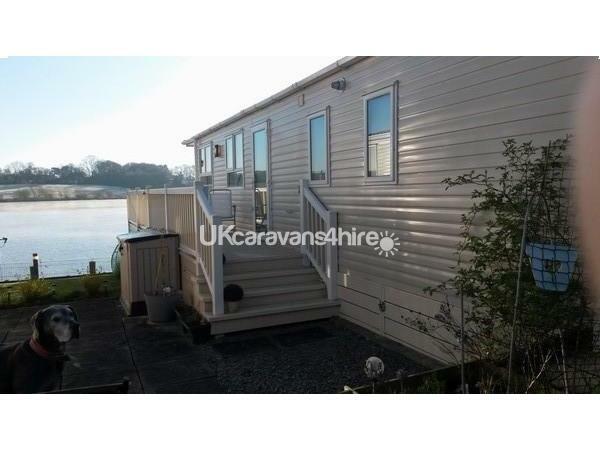 I couldn't recommend this caravan more for a break whether a short weekend or a long fortnight I'm positive your family will truly appreciate it's tranquillity and surrounding beauty allowing you to take time and relax together as a family or with friends.